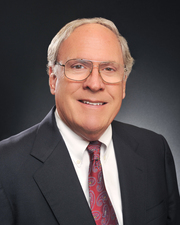 John F. Hallman III spent his entire 41 year career in Atlanta real estate. He has played a major role in helping the industry evolve into what it is today. John introduced two innovative real estate business models that have become major trends within Atlanta. He is a fourth generation Atlantan and has been involved in Atlanta real estate since childhood. John’s father got his real estate license in 1935 and worked for his great uncle at Hallman Realty Company in Downtown Atlanta. John is a graduate of the University of Georgia. He graduated from the Business School with a BBA in Marketing. John is a recipient of the prestigious Phoenix Award, which is earned by only the top 1/10 of 1% of REALTORS. John has consistently be named as part of the Atlanta Business Chronicles Who’s Who of Atlanta real estate for many years.